What did we do before amazing technology like drones? Before drones, capturing aerial photography was no easy task. Over a decade ago, one of our real estate developer clients purchased a marketing package. This package included multiple pages in a real estate magazine including a double-paged layout in the center. We were given the task of taking an aerial photo of a yet-to-be-developed parcel of land. We had to research and find out who could read maps well, identify the right parcel, and take magazine grade photos. The company that we chose had to rent a plane to make the shoot happen. The day had to be fairly perfect. On his medium-format film camera, the photographer took about 30 shots, developed the slides and then gave us proof sheets. With our package, we were only able to pick 2 photos. Once these slides were digitized, we then used photoshop to clean up the photos and make them reading for the double spread in the magazine. What an arduous and expensive process for those two photos. Drones are small, agile and packed with high tech capabilities. In contrast, with today’s technology, a drone weighing barely a pound can be sent up with exact GPS information and hundreds of photos can be taken as well as 4k video. These photos can be immediately uploaded to a computer and shared with a client on the exact same day. Both the time and cost are a fraction of the old days. Because drones make sense for marketing from both a visual and expense advantage, we offer drone photography services to our clients. 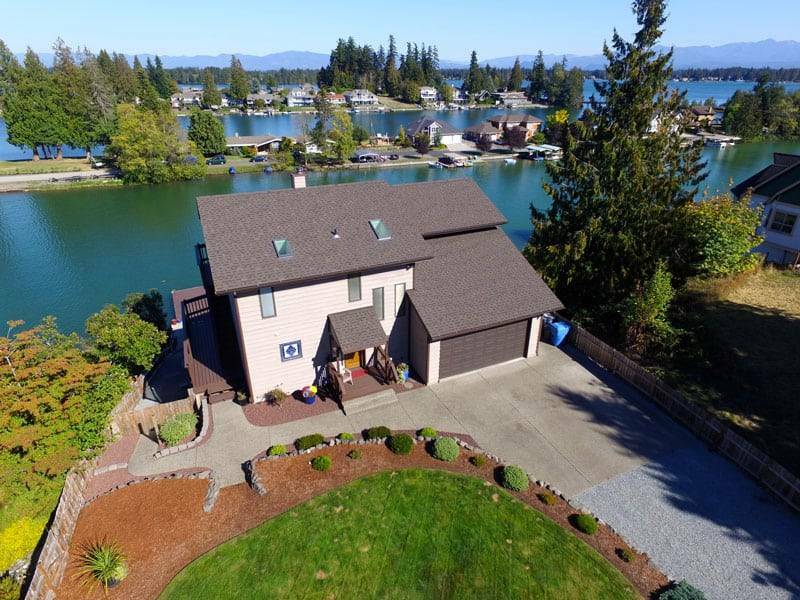 If you would like a quote for our drone photography or videography services, please give us a call for a free estimate at 253-845-0230. Or fill out the form below, let us know what you’re interested in, and we’ll contact you about prices and availability!